Matthew Todd Lauer was born on December 30, 1957, in New York City, New York, to parents Marilyn Kolmer and Jay Robert Lauer who divorced during his childhood years. Lauer left Ohio University in Athens, Ohio, four credits shy of a journalism degree, choosing instead his first career step, as a news producer at a Huntington, W.V. ; television station. In under 12 months, he became an on-air reporter at the station. Matt grew in his career by accepting positions in Boston, Philadelphia, Province, R.I., and Richmond, Va, and New York City and work at NBC’s flagship station was instrumental in laying the trail for his lead to network television. In 1997, Lauer received his degree from Ohio University when they awarded him his remaining credits by counting his journalism experience as “independent study” towards his degree. On “Weekend Today” Lauer stepped in for Scott Simon, Mike Schneider, Jack Ford, David Bloom and Lester Holt as co-host. He also sat in for Ann Curry as anchor of the former NBC News program “NBC News at Sunrise” from 1992 to 1997. As the “Today Show” news anchor, he also sat in for Bryant Gumbel on the show before being named he official co-anchor on January 6, 1997, after Gumbel resigned. 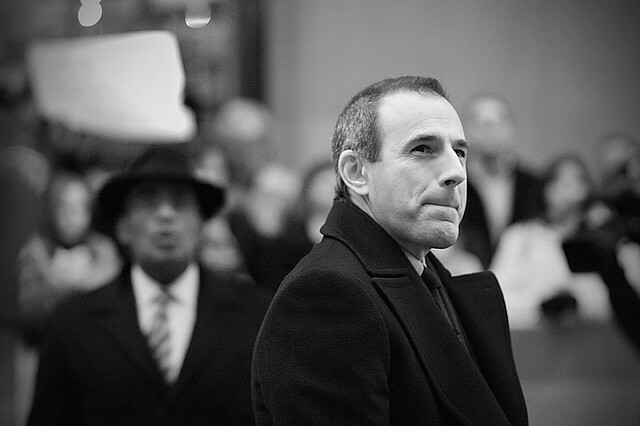 In April of 2006, Lauer announced that he intended to stay with “The Today Show” until 2011. Along with his position on the “Today Show,” Lauer was also committed to hosting programs on the Discovery Channel and MSNBC. Beginning in 1998, Lauer has embarked on a once yearly, five day globe spanning adventure called “Where in the World is Matt Lauer?” on “The Today Show.” It was so named after the PBS game show “Where in the World is Carmen Sandiego?” from which it borrowed the theme song. The segment has sent Lauer to the far reaches of the world, where he has reported on the importance of each location. However, in 2009, NBC announced that the segment would be taken off air due to the current state of America’s economy.